From the heroic image of the doughty captive fictionalised in the film the Great Escape to the sufferings on the River Kwai, the British POW is an instantly recognisable World War II type. 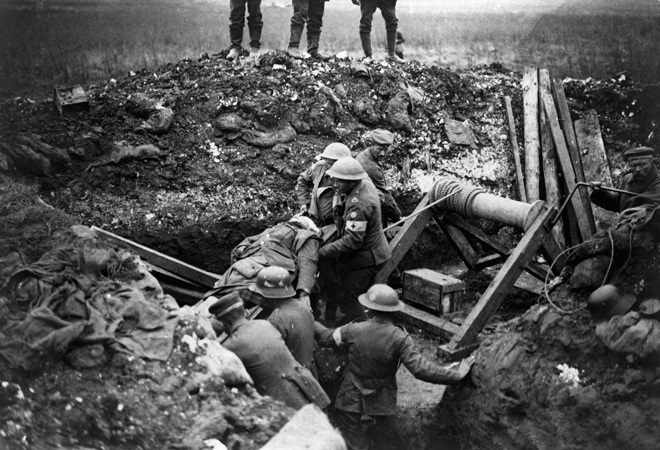 The experience of captivity in World War I is less well known, even though more British prisoners were taken by the Germans on the Western Front between 1914 and 1918 than during World War II. A remarkable account of captivity in 1914/15 is found in the Royal Army Medical Corps Muniment collection. Written by Captain J P Lynch RAMC, it is amongst the thousands of documents recently digitised by the Library to mark the centenary of World War I.
Frontline casuality evacuation In World War I. Wellcome Library reference: RAMC/2005:O/S 84. 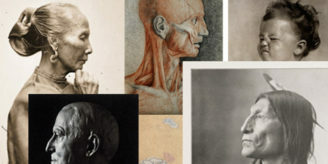 Image credit: The RAMC Muniment Collection and Wellcome Images. Extract from the typed transcript of J P Lynch’s account of his prisoner of war experience, 1916. Wellcome Library reference: RAMC/453/4. 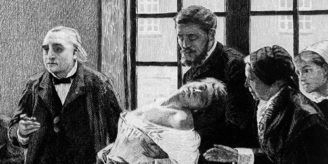 After some days, Lynch, his medical colleagues and their wounded charges were transferred by stages to various camps in central Germany. In Lynch’s view, this contravened the provisions of the Geneva Convention, which gave immunity from capture to military hospital staff. The account of his own captivity and the treatment of prisoners, which he observed in five German camps, was written up in 1916 after his release. 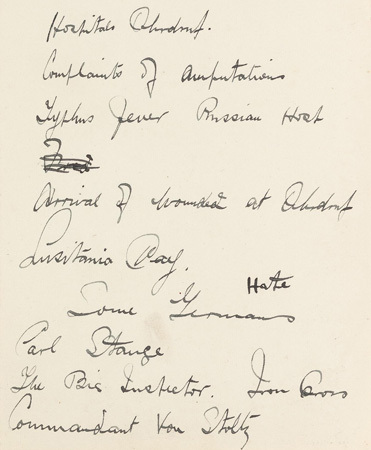 It was compiled for use by the writer F S Brereton, who published The Great War and the R.A.M.C in 1919. Although in truth, Brereton seems to have used very little of it. 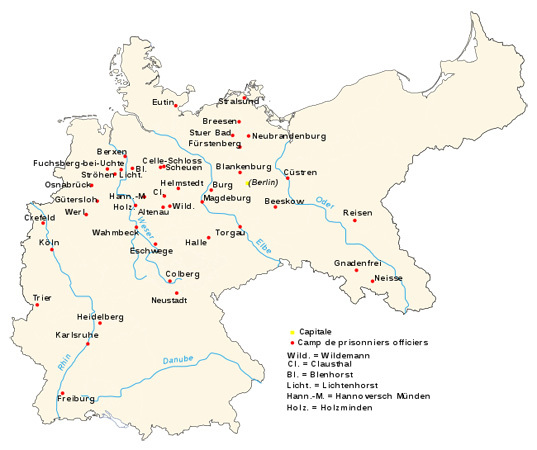 Map showing the locations of principal officers’ POW camps in Germany during World War I. Image credit: Bourrichon, Wikipedia Commons. Lynch also hoped that his record would provide evidence for possible prosecution of German camp commandants and others after the war. As such, it can hardly be deemed an objectively fair account, but as eye-witness testimony it is full of personal and local detail and brimming with the raw emotions and attitudes of the time. Lynch richly conveys the shock of meeting the vicious hostility of sections of the German civilian population as soon as the border is crossed at Aachen. He reveals the constant craving for decent food and some of the little luxuries of life; also the wild rumours circulating about the progress of the war; and the see-saw of emotions as hopes of early release are raised then dashed. Darkly, he recounts the various episodes of brutality and even murder of prisoners he witnesses or of which he learns. Comments scrawled by Lynch in his diary following capture on 26 August 1914. Wellcome Library reference: RAMC/453/1/1. Lynch was finally released in June 1915, arriving in England via neutral Holland at the end of the month.